When reading this month’s Fabulous magazine, I spotted some beautiful white cut out brogues that I fell completely in love with, you can imagine how I dropped my custard cream in my tea with excitement when I saw that they were only a meer £21.95! This led to a super speedy reach for my iphone to checked out the stockist and viola, I stumbled across Spy Love Buy. Spy Love Buy is home to a seriously stylish range of footwear from wellies to get you festival ready to sky scraper heels to accompany that killer party dress. It didn’t take me long to put together my pick of their lovely range…I am now practising serious self restraint to try not to buy EVERYTHING. 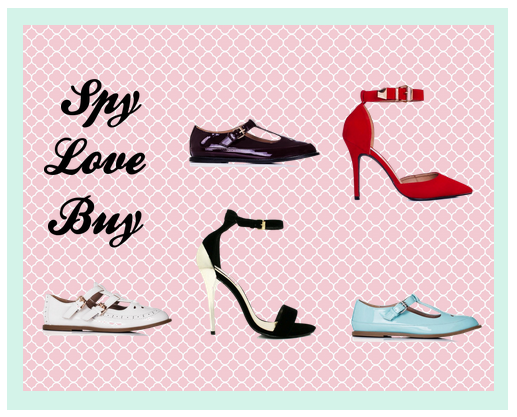 What would be your picks from Spy Love Buy?